The EX designation and matte texture give this glass a solid feel, but it is a bit hefty at over 40 oz. While the size, with lens shade attached, might garner some attention from passersby on the street, the lens did not feel awkward or unbalanced when attached to my Canon EOS 5D, especially after I removed the tripod collar. 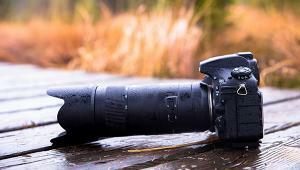 That step measurably reduced the weight and girth and made the lens more comfortable for handheld shooting. But the tripod collar is thoughtfully designed and quite useful when shooting from a supporting tripod; it disengages and reattaches easily enough and stays securely in place when needed. 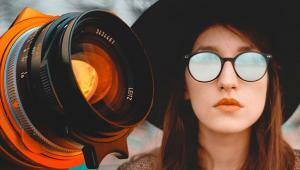 Recognizing that lens shades should match format, two lens shades are included: one for use with full-frame cameras, the other for APS-C designs. One welcome feature is the textured ring that facilitates securing the shade in place, or removing it. Unfortunately, the lens shade must be removed to rotate a polarizing filter, which fits onto the 72mm filter thread of the lens. However, internal focusing will at least keep the filter properly aligned after refocusing. With the lens shade removed, there was ample room to light this flower with a Canon 580EX mounted in the camera hot shoe. To create a soft light, I bounced the light off an attached panel. The effect is noticeably different from using a ring flash, since this light produces shadows, which give the shot added depth. Aperture priority: ISO 400, f/16, 1/200 sec. The lens features three switches. One of these governs AF/M focusing. Manual focusing via the generously sized ring was quite smooth. 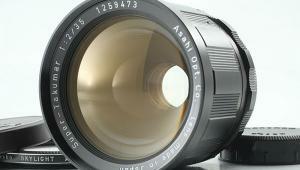 You also have the luxury of Manual override when the lens is set to AF operation. Another switch can be used to limit focusing distance range—an option I rarely, if ever, find of practical value. You can also set the reproduction ratio (visible on the distance scale) when shooting close-ups. 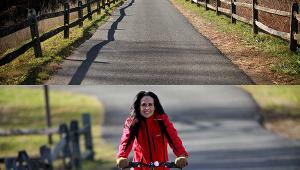 Keep in mind that shooting distance for life-sizemagnification is around 15” from subject to imaging plane. 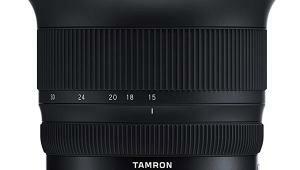 In practical terms, that translates to roughly 4” from the front of the lens shade, or 7” from the front lens element. 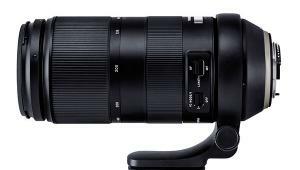 The lens features a Hyper Sonic Motor (or HSM: Sigma-speak for ultrasonic wave driven motor) to ensure quiet and fast autofocusing. 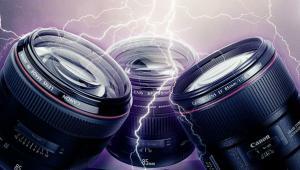 The lens is notably quiet, and AF speeds appeared to be on a par with OEM lenses on my 5D. This exposure of a great blue heron (with mallards in the background) was made late in the day at f/2.8, revealing some vignetting (shown here). But that was easily corrected during Raw conversion later. Stopping down also helps. Aperture priority: ISO 1000, f/2.8, 1/50 sec; OS Mode 1. 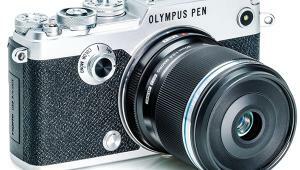 The third switch on the lens governs optical image stabilization to prevent camera shake during handheld shooting. 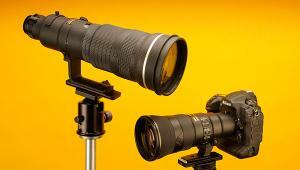 Sigma recommends that OS be turned off when the camera is mounted to a tripod. A quick test showed this to be a prudent step. There are two OS modes. Mode 2 is for horizontal panning. Since I usually have good success panning without optical stabilization, Mode 2 was not a priority. However, I did engage it briefly, with a bird in flight—more to test AF response. In this case, I limited shutter speeds to 1/125 sec, capturing a blur of motion in the wing-tip movement and just a hint of linear blur in the background parallel to camera movement. I did best engaging OS for handheld shooting with shutter speeds ranging from 1/25 sec down to 1/15 sec, while managing a fair number of successes at 1/10 sec, including this one. In determining the exposure, I wanted to capture a nice balance between the sky and illuminated tree entirely by available light. Shutter priority: ISO 1250, f/5.6, 1/10 sec; OS Mode 1. Mode 1, which I used regularly, is for all other movement at the camera. At normal shooting distances, I routinely succeeded in achieving camera-shake-free exposures at three stops (more precisely, in the 1/25- to 1/15-sec range) below the optimum handheld shutter speed (rounded off to 1/160 sec on a full-frame camera, probably 1/250 sec on an APS-C sensor camera). A four-step range equals 1/10 sec, which I did manage, but with varying success. I even succeeded in capturing a sharp 1/4-sec exposure—to be resorted to only when absolutely necessary. There are three switches on the lens. Of most practical value to me were the AF/M and OS settings. 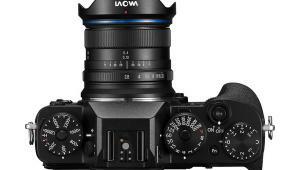 The lens features full-time Manual control in AF and two Optical Stabilization modes (Mode 2 for panning). 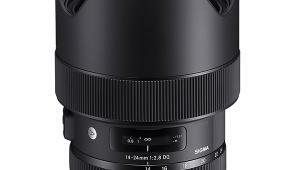 This apochromatic lens boasts what Sigma refers to as SLD (Special Low-Dispersion) glass. The three SLD elements here help to minimize chromatic aberration and optimize sharpness. And the lens did indeed deliver nice, clean results, free of color fringing. Distortion was negligible. Vignetting was evident at f/2.8, but not to a disturbing degree, and was easily corrected during Raw conversion. Stop down and it’s gone. I was quite impressed by the level of detail this lens captured. In fact, I rarely found it necessary to boost sharpness in Lightroom or ACR beyond default levels. What’s more, Sigma’s Super Multi-Layer Coating seems to have done the trick as well, keeping ghosts out of the picture and flare to a minimum. I also shot a postage stamp, filling the frame. The image looked quite crisp edge to edge, especially as I stopped down. Examining other images at non-macro shooting distances also confirmed very good edge-to-edge sharpness. In both sets of images, diffraction predictably set in when stopping down too far, clearly taking its toll at f/22. When you’re focused on capturing straight lines in a landscape, it helps to have a lens that renders the scene with practically no observable distortion. Aperture priority: ISO 1600, f/5.6, 1/40 sec; OS Mode 1. I found the Sigma 150mm F2.8 EX DG OS HSM APO Macro to be both a remarkable and practical lens. 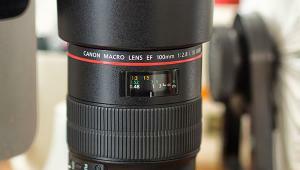 This lens has a quality look and feel, although moisture- and dust-proofing would have added to the overall value considering the $1600 list price (note that shopping around will yield a better price, about $1100 or so in our research). 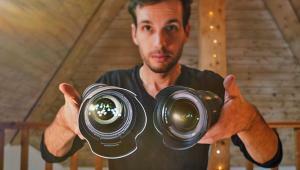 For the most part, the weight and size of this lens on my Canon 5D didn’t bother me. Filling the frame with this commemorative postage stamp (in this case, near life-size) shows that optical performance is remarkably good across the image plane (tripod used). Aperture priority: ISO 200, f/8, 1/200 sec; ring flash. Optical stabilization (Mode 1) clearly showed its mettle time and again, although I was also happy to have that f/2.8 aperture for selective focus and in low-light conditions. Focusing was fast and quiet, and I had no qualms about taking control when Manual focusing was needed. The 150mm focal length proved its worth, helping me capture a range of subjects from kids to wildfowl, as well as landscapes. Most important, perhaps, as a macro this optic performed brilliantly, revealing a level of detail that I’d not seen before. For more information, contact the Sigma Corporation of America at www.sigmaphoto.com.